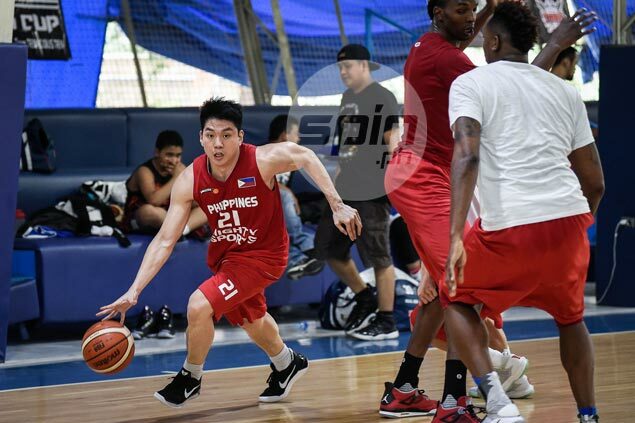 DUBAI – Mighty Sports-Philippines has beaten Egypt’s national team in last year’s Jones Cup, but Bo Perasol , head of the delegation, warned the apparels specialists not to take the Egyptians lightly when they clash on Saturday in the Dubai International Basketball Tournament. Game time is set at 9 p.m. with the Egyptians out to avenge their 80-61 defeat to Mighty Sports in the Jones Cup last year. Perasol recalled the Egyptians gave them hell before then Mighty imports Hamady N’Diaye, Al Thornton and Dewarick Spencer combined in a telling breakaway to start the payoff period. “We took control of the game but it was only in the fourth that we managed to pull away,” said Perasol. Out to win their second international title, Mighty Sports, backed by Rain or Shine and Scratch It, is set to make its tournament debut against host Al Ahli late Friday. Mighty Sports head coach Charles Tiu said it is paramount that local talent like Chris Tiu, Kiefer Ravena, JC Intal, Ryan Arana, Willie Miller and Jeron Teng make their outside shots. After Egypt, Mighty Sports faces Segese on the 20th, takes a break on the 21st before facing Homenetmen and Al Riyado on the 22nd and 23rd. Their final elilimination game will be against Ball Above All on the 24th with the one-game final set the following day between the top two teams. Though Mighty Sports has only four imports now, including naturalized Filipino Marcus Douthit, Perasol said they are solid with 7-foot-3 Hasheem Thabeet manning the post and NBA veterans Dominic McGuire and Justin Brownlee out to provide firepower.